May | 2015 | Sonic Smash-Music! 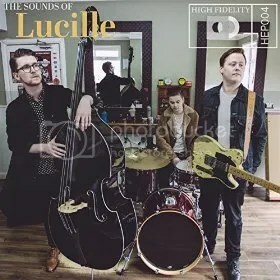 The UK roots-rock band known as Lucille have released their latest album, “The Sounds of Lucille.” The album brings seven tracks for an approximate total listening time of over 20 minutes. It has been proudly published on the band’s new label, Hoodwink Recordings, with whom they signed in summer 2014 with much fanfare. Truly rocking and rolling, shucking and jiving, “The Sounds of Lucille” is a genuine roots-rock record that exemplifies the sound that started it all long ago in the heat of the American south. Lucille, who call Derby and Nottingham home, cite as influences B.B. King, Chuck Berry, Etta James, JD McPherson, and Willie Dixon. Their own sound is not derivative of these legends however, so much as it naturally belongs on the same shelf. Unpretentious, unfeigned, unadorned and absolutely thrilling, music by Lucille communicates to the listener the sheer joy these three young musicians feel as they sing, strum, pound and stamp their notes through the “radio” to the music fan’s greedy ears. American audiences are likely to pigeonhole “The Sounds of Lucille” as a rockabilly record, and this is not unfair – rockabilly fans will adore this album – but it belongs to a tradition that isn’t a revival the way rockabilly has come to be. Lucille play rock and roll, not ‘rock,’ and not ‘rock music,’ either. Lucille could justifiably be used in an encyclopedia as hard evidence of the continuing tradition that links directly back to Chuck Berry and Jerry Lee Lewis. Lucille are Scott Greensmith, CJ North and Ben Tennett. They are an actively touring and performing trio with an impressive list of venues under their belt, including Y-NOT, the Derby Folk Festival, the opening ceremony of Derby Arena and various festivals throughout the year, as well as at other such locales as Leeds, Sheffield and more. Their live shows consistently sell out. Early critical reviews of their new record have been uniformly exceptional. “The Sounds of Lucille” by Lucille is available online worldwide. Get in early, music fans and audiophiles. Very early. The producer and performer of Latin music known as Mario Fenix has released his latest LP record album, “Underground Vol. 1.” This new full-length album features Mario Fenix as a solo artist bringing 14 original songs for an approximate total listening time of 40 minutes. It has been proudly published on the MI Stylez Music independent record label without the support of the corporate music industry. 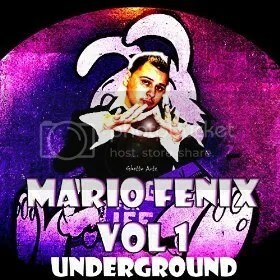 Explosive, exotic, full of groove and bringing Mario Fenix to the ears of the international community, “Underground Vol. 1” is a dance-floor bombshell to which DJs and music fans everywhere are already tuning in. Mario Fenix’s official Facebook page cites such musical interests as La Mala Rodriguez, Cosculluela “El Principe,” Daddy Yankee, Danny Fornaris, Kanye West, Dr. Dre and Common. His own sound is rooted in the contemporary ritmo Latino sound which booms in nightclubs throughout the Americas and in western Europe, and which has been gaining popularity in dance halls around the world. “Underground Vol. 1” has been variously categorized as Latino, dance, international, Caribbean/Cuban, and even reggae music. “Underground Vol. 1” by Mario Fenix is the latest and most prominent official release from Fenix since his March 2015 mixtape, “Matrix,” a compilation of various artists comprising 16 tracks. “Matrix” represents the second Fenix mixtape to achieve more than 1000 digital downloads, the first being his debut solo mixtape, “Mi Introduccion,” which appeared online in 2008. Also helping to garner Fenix an ever-larger fan base are his “Evolution 1” and the “Dembow” series, which continue to rack up plays downloads online daily. In addition to the digital version of “Underground Vol. 1” (also sometimes referred to as “Volumen 1 Underground”) a special edition CD version is expected to appear on Amazon in June. “Underground Vol. 1” by Mario Fenix is available from over 750 retailers online worldwide. 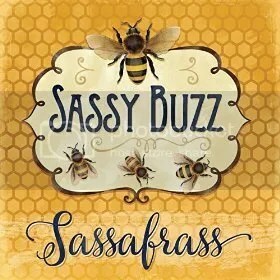 The musical environmentalists known as Sassafrass have released their latest folk-rock record, “Sassy Buzz.” Alternately listed online as “Sassy Bees,” their new record contains eight original folk songs for an approximate total listening time of 20 minutes. It has been proudly published on the Key Mark Records independent music label, outside the reach and influence of the corporate music industry. Heartfelt, uplifting and colorfully well-written and performed, “Sassy Buzz” by Sassafrass brings nature conservation in the form of folk music to listeners all over the world. Sassafrass cite as main artistic influences folk legends such as Bob Dylan and Joan Baez, but also the classic sounds of Bonnie Raitt, Jackson Browne, the Beatles, the Allman Brothers, and all southern rock in general. Taking the first two as a base and stirring in certain elements of the rest of the list brings the music fan close to the style of Sassafrass, the tone of which is consistently sunny and warm, and lyrically medicinal in terms of social good. This dependable goodness has caused their “Sassy Buzz” to be cataloged variously as folk-rock, contemporary folk, and even children’s music, each of which is apropos. The Sassafrass repertoire includes not only several previous records, “Peace Love Sassafrass,” “Green Rock” and “The Line Is Drawn,” but also a selection of ecologically minded books intended to educate people of all reading ages about endangered species, alternative energy sources and a wide variety of other green concerns. These books and records are available from their official website online (link provided below). Sassafrass spend much more time onstage than in the studio and boast a loving, loyal fan base. They have performed for ecological organizations and summits around the world such as the Sierra Club, the GRN, LEAN, HEART, COP-15 (Denmark), COP-16 (Mexico), the WWF in Copenhagen, multiple Greenpeace ship dockings and for innumerable regional events, youth gatherings and festivals. Sassafrass have also been featured on European television and radio stations around the globe. “Sassy Buzz” by Sassafrass is available online worldwide. The rapper from Denver, CO known as D-Town Jr. has released his debut LP record, “Rose from the Ashes.” The groundbreaking, titanic hip-hop album comprises 15 original songs and a bonus track for an approximate total listening time of one full hour. It has been proudly published on the BlockArt Entertainment independent record label without the influence or financial support of corporate music entities. Explosive, aggressive, consistently brilliant and even moving, “Rose from the Ashes” has all the qualities of a Grammy-Award-winning hip-hop release. In addition to the staggering amount of talent D-Town Jr. brings to the mic on his “Rose from the Ashes” debut, the full-length album also features the talents of a small army of his friends and collaborators. These include (in order of appearance): Short Cirkit, Micky Monday, Eric Underwood, Fully Loaded, Kutt Calhoun, Jon Young, Mic Check, Dyani Annmarie, Ran$teez, Liizayuhh Atlas, Irv da Phenom!, JI B. Hood, Ashleigh Munn, Lil’ Soulja, and D-loc the Gill God. This burgeoning roster accounts for much of the LP’s texture, depth and charm, a stylistic choice which is entirely deliberate on the part of D-Town Jr. While a great many rap artists enjoy the tradition of placing as many featured rappers on their albums as may look fashionable, D-Town’s “Rose from the Ashes” is nothing short of a talent scout’s dream, a gathering of hip-hop geniuses the likes of which indie music rarely sees, if indeed such a crew as this has ever been assembled before. D-Town Jr. cites as main artistic influences only Eminem and Tech N9ne, each of which has clearly left indelible impressions on the rapper’s own characteristic modes of writing and delivery. Fans of either Eminem or Tech N9ne will be exceptionally enthusiastic about “Rose from the Ashes,” which is like hearing a new kind of rap that is reminiscent of Marshall Mathers without being derivative of him. At the heart of D-Town Jr.’s debut LP are razor-sharp lines and rhymes, each of which evidences weighty consideration and the verbal adroitness of a true urban poet. D-Town Jr. has been writing music since the age of ten and entered a music studio for the first time at 17. Today he celebrates the release of his “Rose from the Ashes” debut LP at 22 years old. 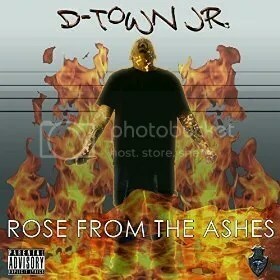 “Rose from the Ashes” by D-Town Jr. is available online worldwide. Get in early, hip-hop fans. Very early. 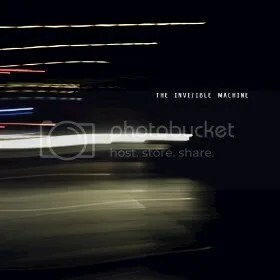 The alternative-rock project known as the Invisible Machine have released their debut self-titled LP album, “The Invisible Machine.” The album comprises ten original songs for an approximate total listening time of 45 minutes, making for a highly textured introduction to this eclectic and powerful alt-rock group in 2015. It has been proudly published as an independent release without the support of the corporate music industry. Driving, soaring, and viscerally evocative, “The Invisible Machine” by the Invisible Machine is a rock record that defines modern alternative rock in chords everyone can appreciate. The Invisible Machine cite as main artistic influences such titanic groups as Pink Floyd, Queen, Live, and Muse. While these groups may not seem to have many similarities at first glance, on closer inspection their sound dovetails very intuitively, a common thread running through each of them that is very much like the sound and style of the Invisible Machine. Melodic, symphonic, and marked by both incredibly strong songwriting and consistently impressive performances, the “Invisible Machine” LP is a satisfying listen from start to finish. “Modern society makes us assume roles that sometimes drive us away from our essence and individuality. We are seen as consumers, as workers, as means to an end, but our value as individuals is sometimes overlooked. The mastermind of the Invisible Machine is Juan Luis Barletti, who wrote each of the album’s songs and also produced the LP. Barletti says the songs on his new record explore the above scenario in terms of individuals. “The Invisible Machine” by the Invisible Machine is available online worldwide. The composer and producer of digital dance music known as DJ Pad has released his latest LP album, “The Hymn of Brotherhood.” The record contains no fewer than 26 original tracks for an approximate total listening time of just under three hours. It is the latest addition to DJ Pad’s rapidly growing repertoire which includes full-length records such as “Waiting to Be Discovered,” “A Trip in My House Part 1,” “A Trip in My House Part 2,” “Y,” and “Dubstep: First Strike,” all of which have been released in less than three years. A gorgeous, sprawling, lush sonic landscape composed in the true spirit of the trance-music tradition, “The Hymn of Brotherhood” is the newest reason music fans have to take special note of France’s number-one composer and producer of digital music, the unstoppable DJ Pad. DJ Pad writes music in a vast array of different genres and styles. For each of these, his music is informed by entirely different artists. For “The Hymn of Brotherhood,” Pad’s most comprehensive collection of trance music, the artist cites ATB, Tiesto, and Armin van Buren as main artistic influences. DJ Pad has produced more than 600 original tracks in approximately 30 varying genres. Most of these are of the electro house, trance, and dubstep persuasions, but his music blends the elements of each with those of the others in such a way as to create new amalgams from existing categories. He has been making music since 2008, and gleans inspiration from such legends of digital music as Afrojack, Sebastian, Swedish House Mafia, Infected Mushrooms, Psycraft, Hallucinogen, Cosmic Gate, Atomic Cat, Angerfist, Hanz Zimmer, Mike Oldfield, and many more. 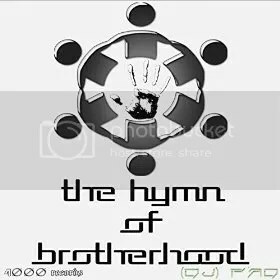 “The Hymn of Brotherhood” by DJ Pad becomes available worldwide 24 May 2015. Digital music fans should definitely get in early. The independent video game studio known as Red Prawn Games have released their debut music album, the official “Robot Wasteland Game Soundtrack.” The album lies somewhere between an EP and an LP record, having 12 original tracks for an approximate total listening time of over half an hour. Dark, grim, futuristic and entirely immersive, the “Robot Wasteland Game Soundtrack” by Red Prawn Games is an excellent example of the ultra-high quality of music composition in today’s new golden age of video gaming. Red Prawn’s “Robot Wasteland” OST is the brainchild of up-and-coming composer Przemyslaw Ksiazek, popularly known by his professional name, Ksamus. Music by Ksamus tends toward the ambient and electronic, very much alive, with sweeping waves of sound which form towering crescendos and sprawling sonic landscapes the mind can easily envision as if pictures were being painted on the canvas of one’s imagination. It is the creativity of Ksamus the music fan is hearing, though, which makes it more than likely that the world will be hearing much more from this musician over the next few months and years. Ksamus cites as main artistic influences J.M. Jarre, Kraftwerk, Vangelis, Klaus Schultze, and Daft Punk. 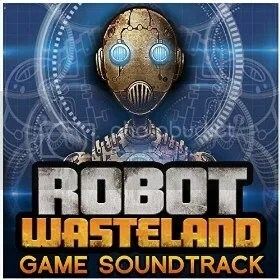 The “Robot Wasteland Game Soundtrack” by Red Prawn Games and composed by Ksamus is available online worldwide beginning 22 May 2015.